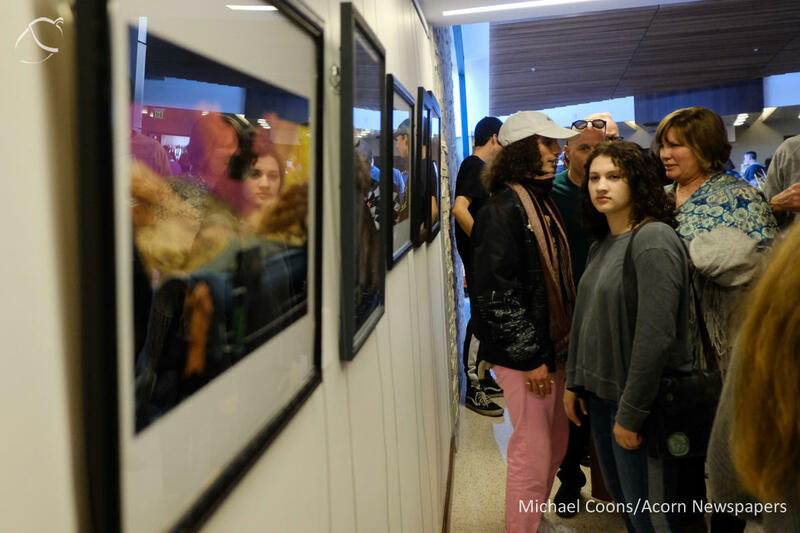 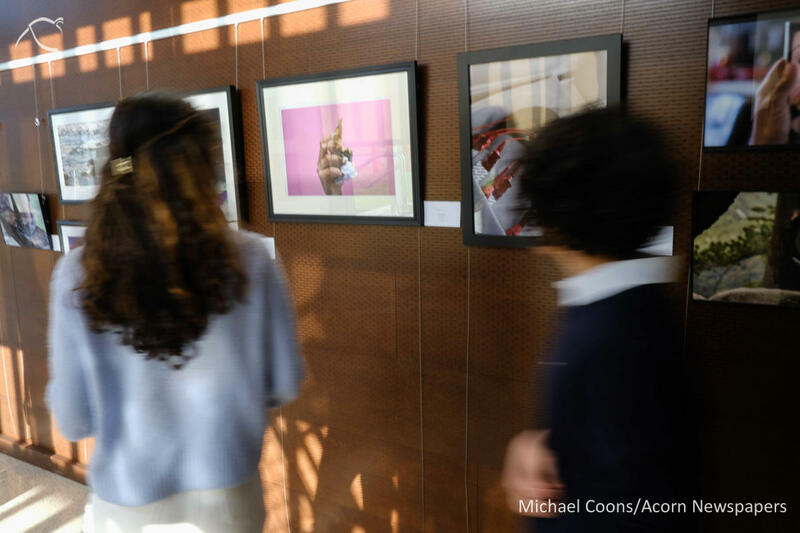 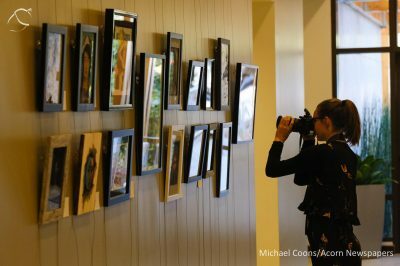 Students browse photographs on display during the 2019 Conejo Valley Student Awards Juried Art Show opening reception and awards ceremony at the Agoura Hills Recreation and Event Center March 22 in Agoura Hills. Students and parents browse photographs on display during the 2019 Conejo Valley Student Awards Juried Art Show opening reception and awards ceremony at the Agoura Hills Recreation and Event Center March 22 in Agoura Hills. Alex Goldbeck, 17, photo editor for Oak Park High School's school newspaper, photographs student art on display during the 2019 Conejo Valley Student Awards Juried Art Show opening reception and awards ceremony at the Agoura Hills Recreation and Event Center March 22 in Agoura Hills. 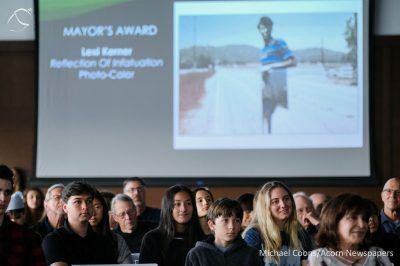 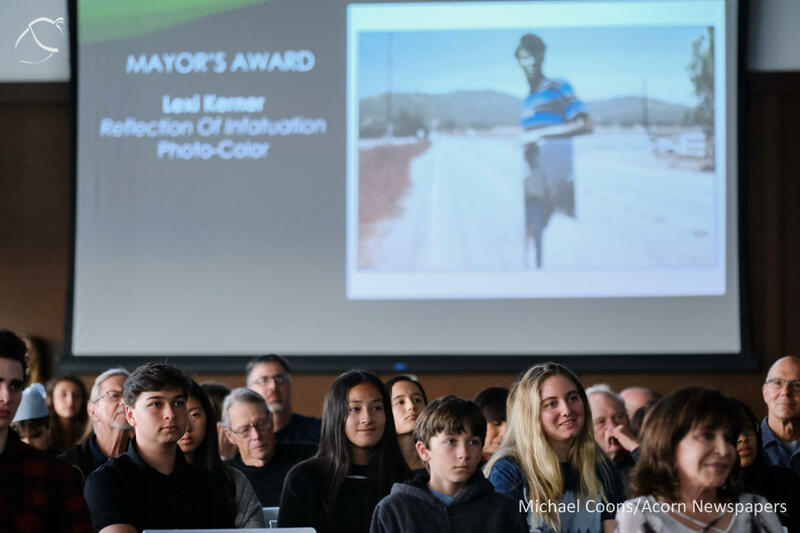 Student artists watch as Lexi Kerner receives the Mayor's Award for her photograph, "Reflection of Infatuation" during the 2019 Conejo Valley Student Awards Juried Art Show opening reception and awards ceremony at the Agoura Hills Recreation and Event Center March 22 in Agoura Hills. 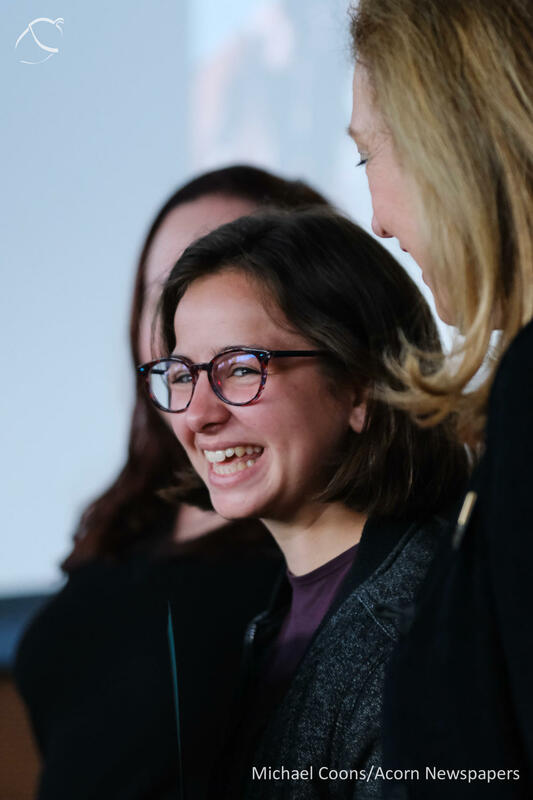 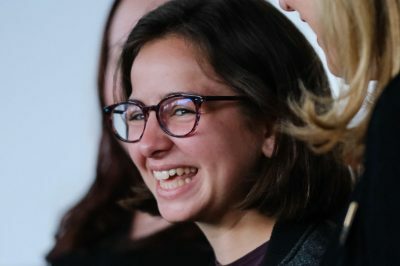 Rachel Jacobs smiles as she receives the Cultural Arts Council's Excellence in Art award for her piece, "Rising Up, Like a Boss" during the 2019 Conejo Valley Student Awards Juried Art Show opening reception and awards ceremony at the Agoura Hills Recreation and Event Center March 22 in Agoura Hills. 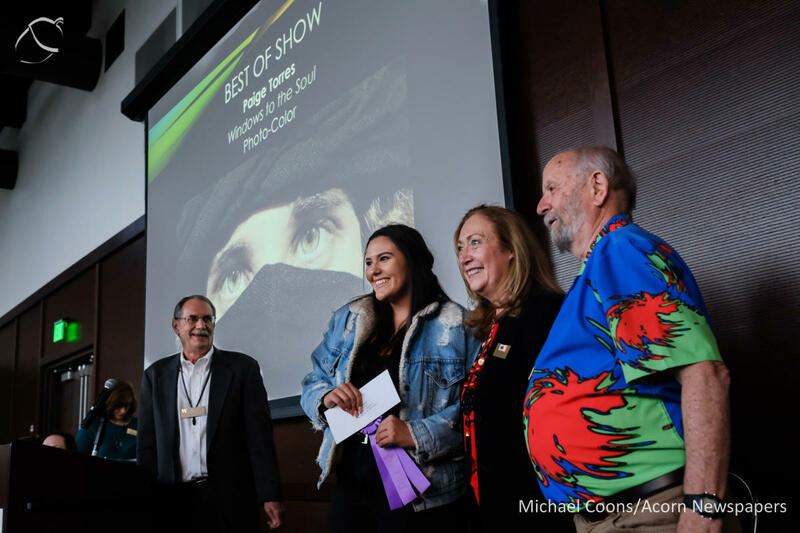 Paige Torres, left, poses for a photograph with Agoura Hills Mayor Linda Northrup and Westlake Art Guild President Rod Seeley after winning Best in Show for her photograph, "Windows to the Soul" during the 2019 Conejo Valley Student Awards Juried Art Show opening reception and awards ceremony at the Agoura Hills Recreation and Event Center March 22 in Agoura Hills.